Hi All, welcome to June, and International Childrens Day! I'm Claire N, and I'm stepping into Carols shoes, just for the day. 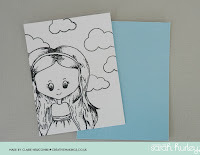 Today I have made a card using one of Sarah's Charm Street Cuties, and a cute notebook that would be a perfect gift for a little girl to give to friend. I will show close up photo's a little further on, but I have taken the idea of an interactive shaker card and adapted it to suit this particular stamp. 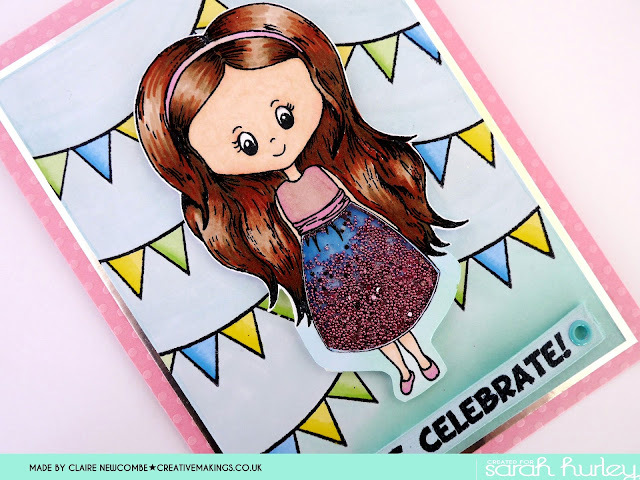 1) To begin, stamp the Cutie onto white stamping card, and colour with Promarker alcohol markers, and cut her out keeping very close to the stamped edge for the majority of the image. 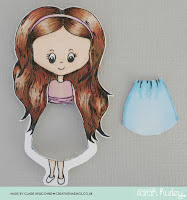 To prepare for the interactive, shaker area, increase the border area around the skirt and legs,to hide the 3D foam and then use a craft knife to cut the skirt from the image. 2) On the reverse of the image, fix a piece of acetate to where the skirt was. Attach 3D foam across the reverse of the image, making sure that there is a completely sealed ring of foam around the skirt area of the image. This is where the small beads (glitter, sequins etc) will be enclosed. Put the image and the cut out skirt to one side. 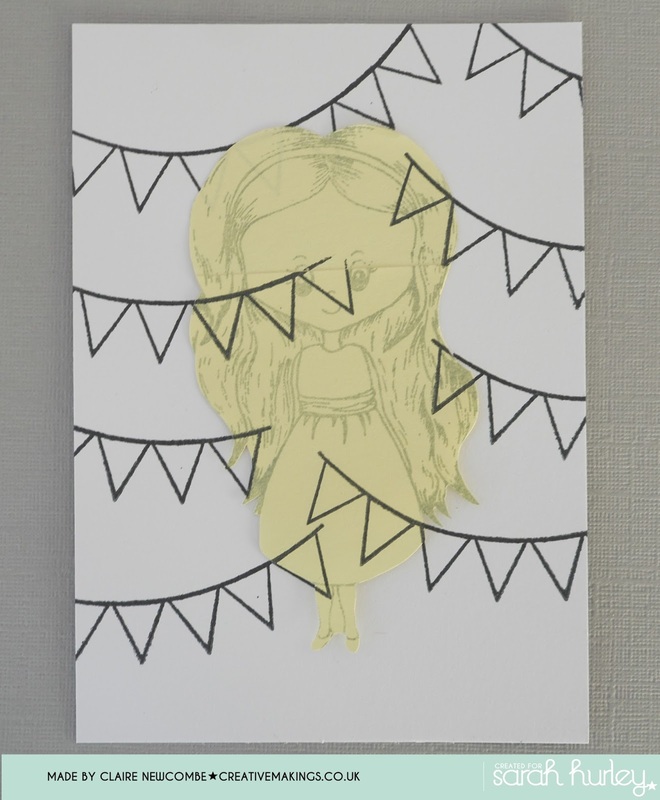 3) Prepare the background, by firstly creating a mask of the image, and placing it onto a piece of 13 x 9.5 cm white card. Using the banner stamp from the same set, stamp randomly across the background. 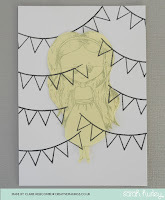 Remove the mask of the character and colour the banner and background using alcohol marker pens. Firstly use double sided tape to fix the skirt in position on the coloured background. 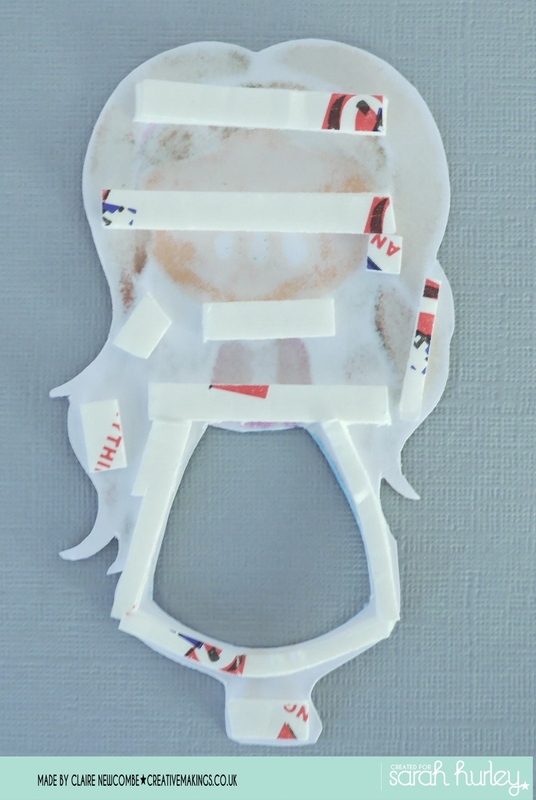 Remove the backing strips from the 3D foam from the top half of the Cutie and fix in place, aligning it over the skirt. making sure at this stage the skirt section does not stick. 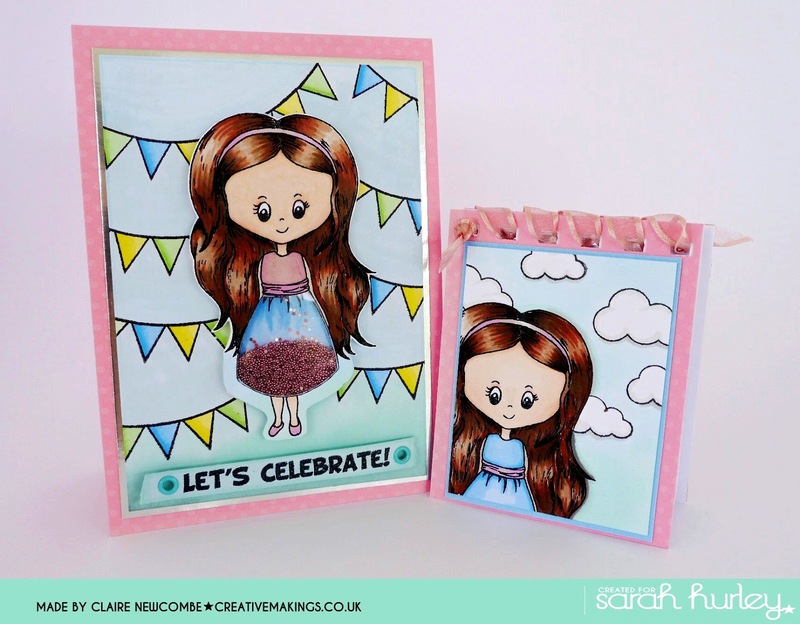 Turn the background over and gently (so as not to crease) reveal the enclosed area and carefully fill the chamber with glitter, seed beads or sequins. Carefully remove the remaining backing strips from the 3D foam and lower the background into place. Ensure a tight deal has been made before turning over. 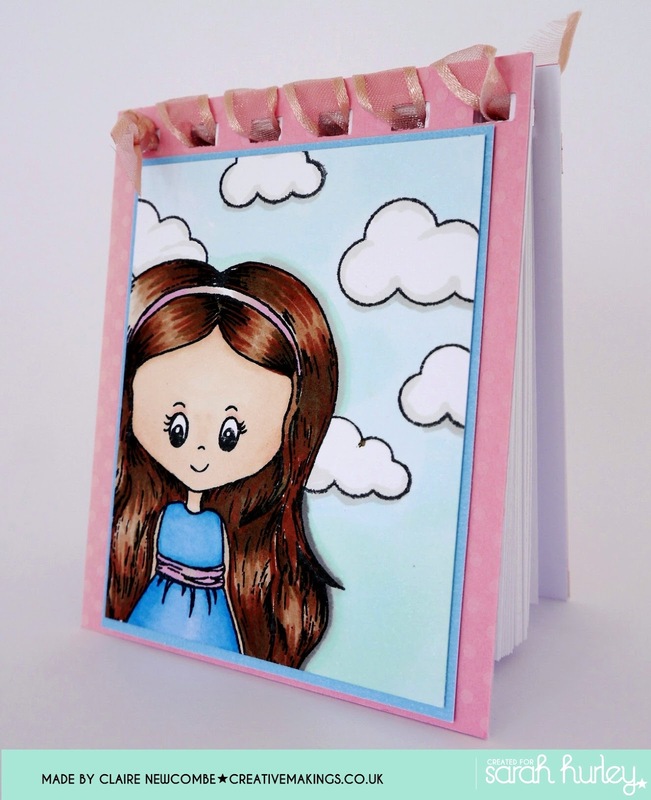 Mat the entire image onto silver mirri card, before attaching to the front of a pink card blank (11 x 15 cm). 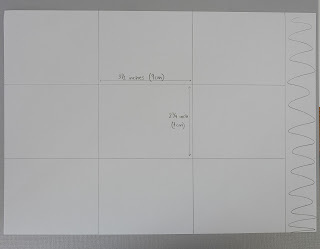 1) Cut two 7.5 x 9.5cm pieces of pink card, and two pieces of white card. 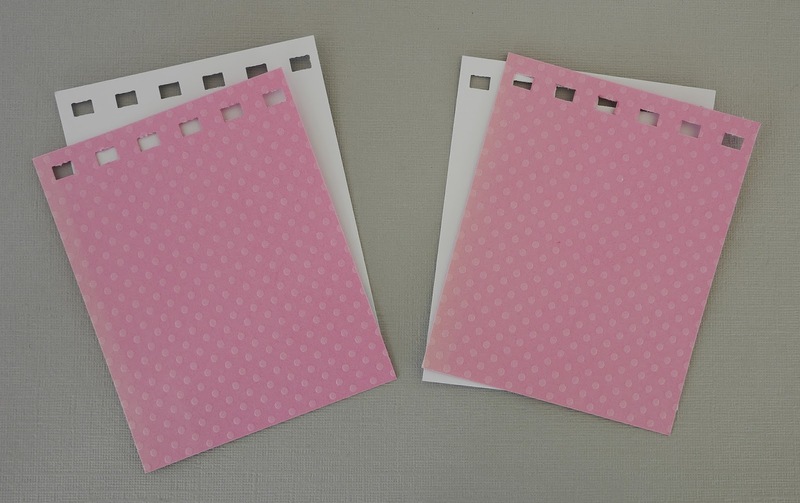 Attach a pink piece and white piece together , and punch holes evenly along one of the shorter edges. These will form the covers. 2) Cut a 6x8 cm piece of white card, and stamp the Charm Street Cutie off the centre. Using the same mask as before cover the image and stamp the cloud from the same stamp set as a background. 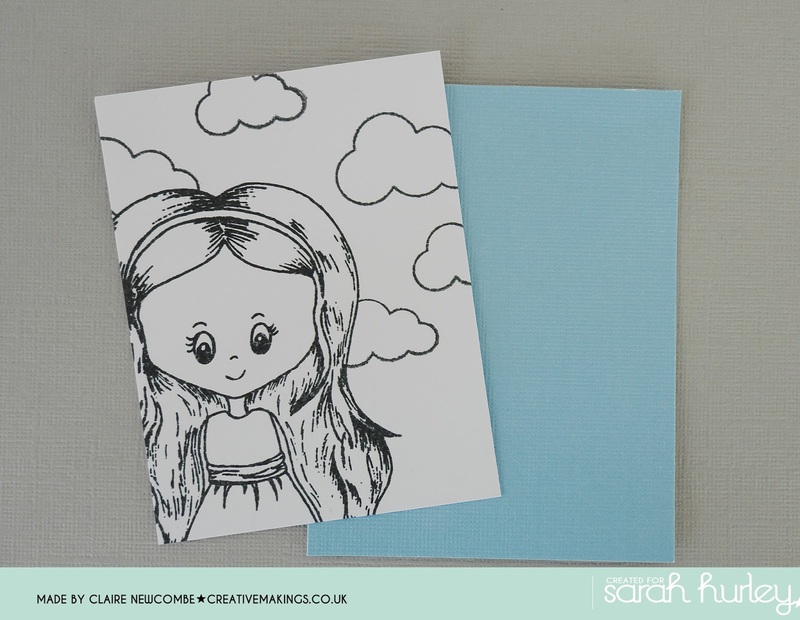 Colour the images with alcohol marker pens, and mat onto a layer of blue card. Fix onto one of the covers, and this will be the front of the notebook. 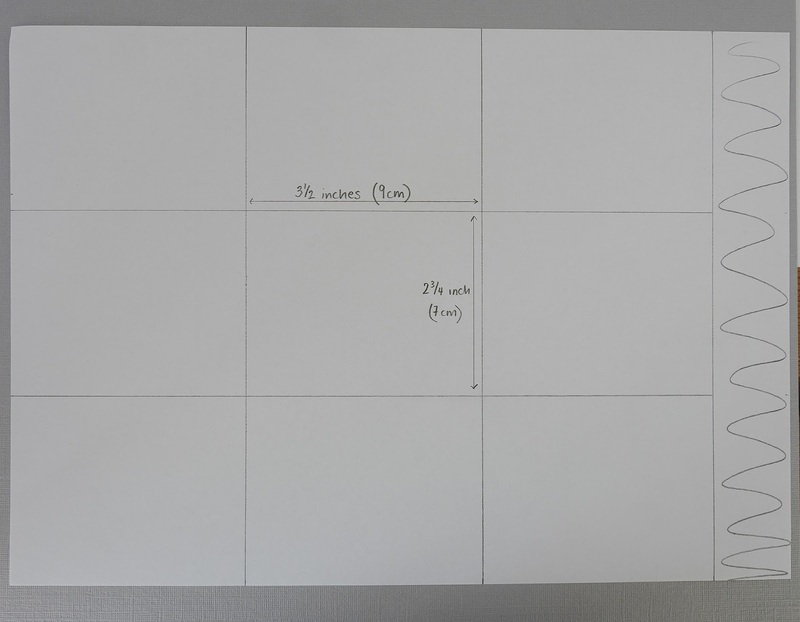 3) Take four sheets of A4 copy paper, and measure out nine notebook pages per sheet, as shown below, the pages are 7 x 9cm each. 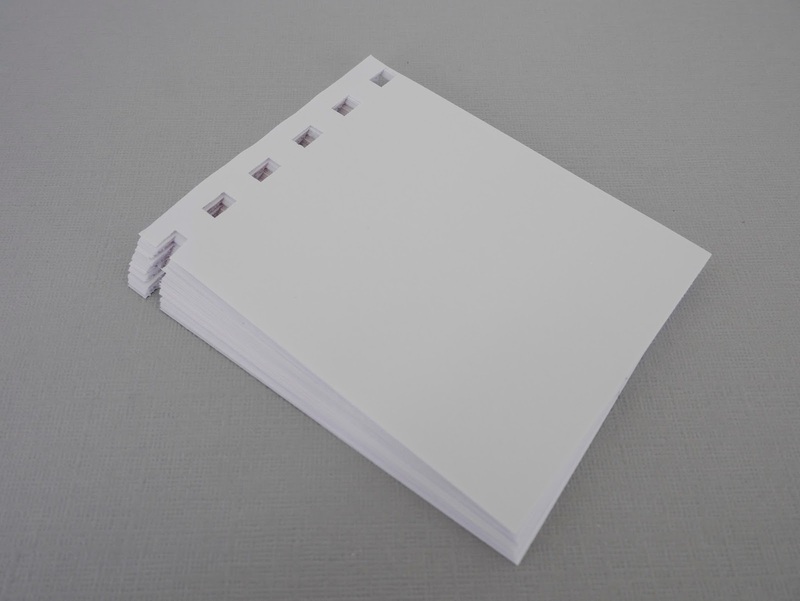 Using the same method as before, punch holes evenly along one of the short edges of the pages. 4) Sandwich the pages with the pink covers, and bind the notebook by lacing a length of ribbon through the punched holes. Tie a double knot at each end of the ribbon to secure. It would be best not to bind the ribbon too tight, so as to allow the pages to turn freely. I hope you have enjoyed my little tutorial today, we would love your feedback and welcome any feedback and suggestions of what you would like to see us make and blog about for you. I love the shaker card, I'll be trying that out for sure. Love your shaker card, looks great! Great idea Claire, that stamp is gorgeous.